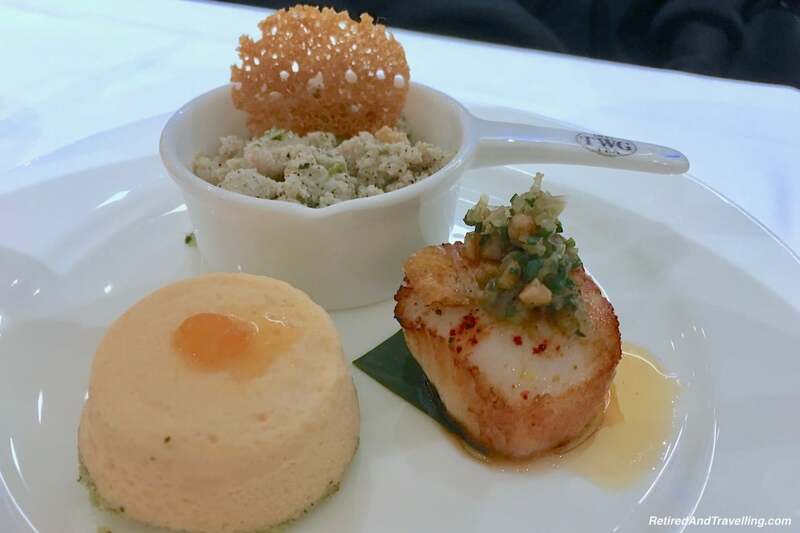 We sailed away for Christmas on an Oceania Cruises trip to Cuba. 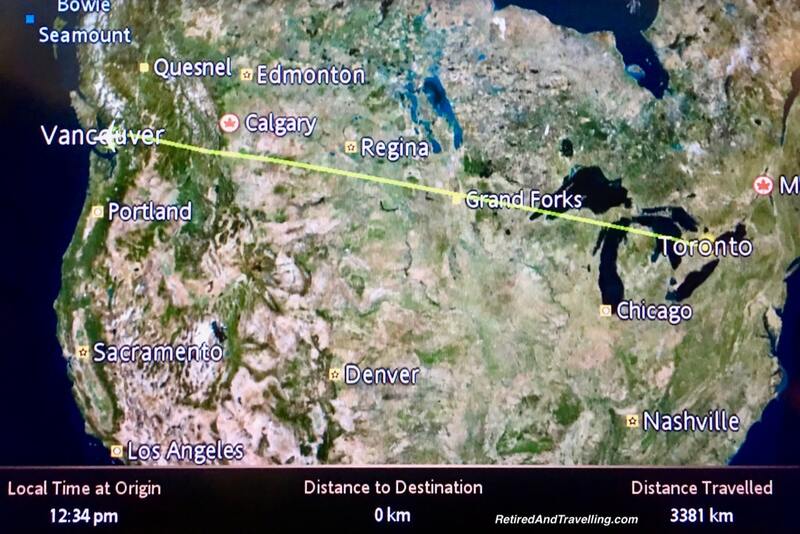 But before we headed to the hot south, we flew to Vancouver to visit family. We have spent a lot of time in Vancouver over the years. But this time when we visited, we found Christmas holiday spirit in Vancouver. There was lots to do for all ages. 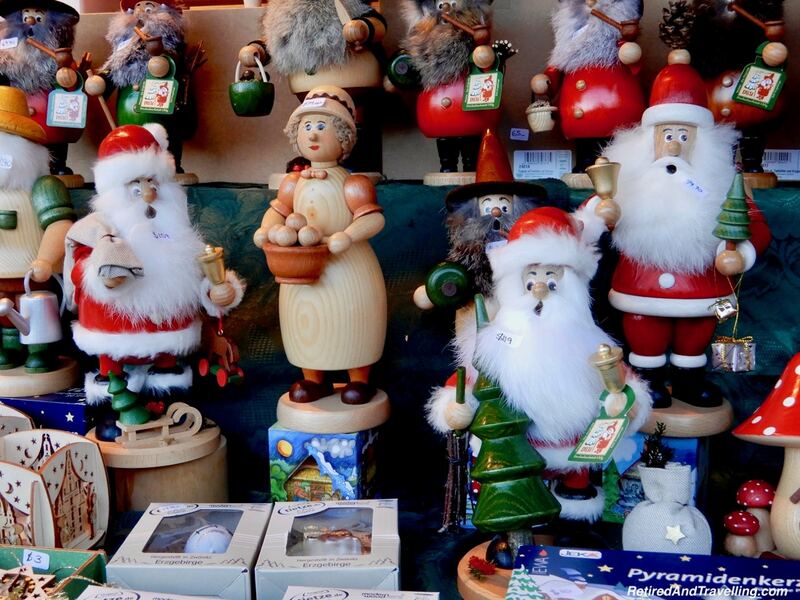 Christmas Markets, gingerbread houses and holiday decorations all left us humming Christmas carols. Visits with family got us meals out, an Afternoon Tea experience and a trip back to Fort Langley. 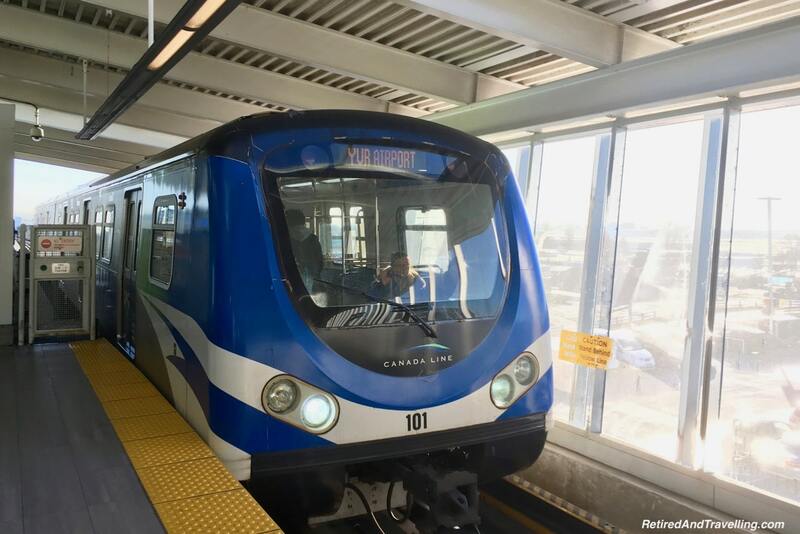 It was an easy trip from the airport on the SkyTrain to downtown Vancouver. From the Waterfront station, it was a short walk to our hotel. 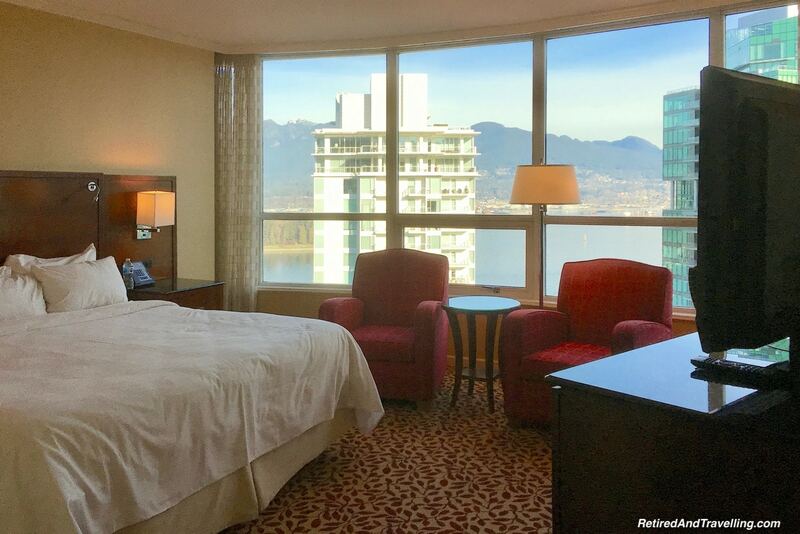 We stayed at the Vancouver Marriott Pinnacle for this visit to Vancouver. Our room had a great view out over the harbour to the mountains. 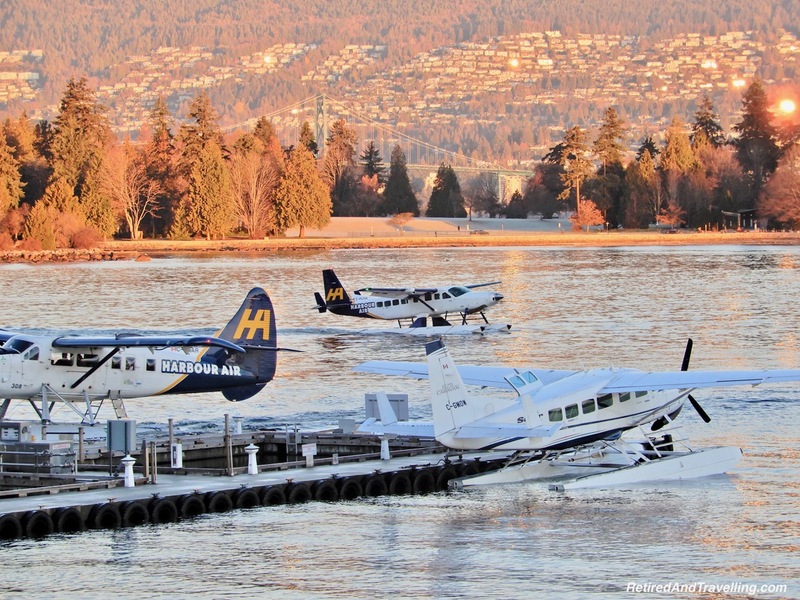 The seaplane dock was right below us. And we loved that view all day. Off to the side we saw the Lions Gate Bridge. Especially when it was lit up at night. Shortly after we arrived, we were surprised with a great welcome snack. We enjoyed our room with a view while we ate. 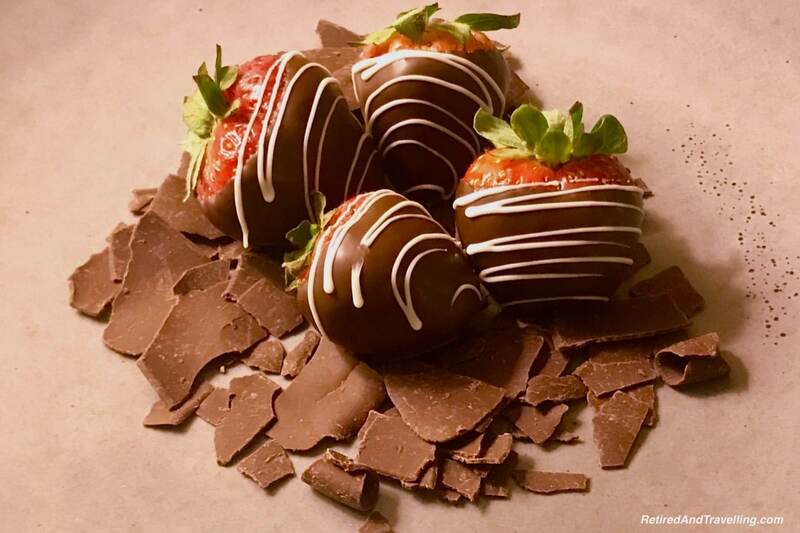 And one night we watched the night sparkle in front of us as we finished up our nighttime treat of chocolate-covered strawberries. At this time of year, we could not get a good sunrise picture. But David headed out one morning to catch the morning glow on the harbour. We had a great room with a view. It was a great spot to relax when we came back from exploring the city. 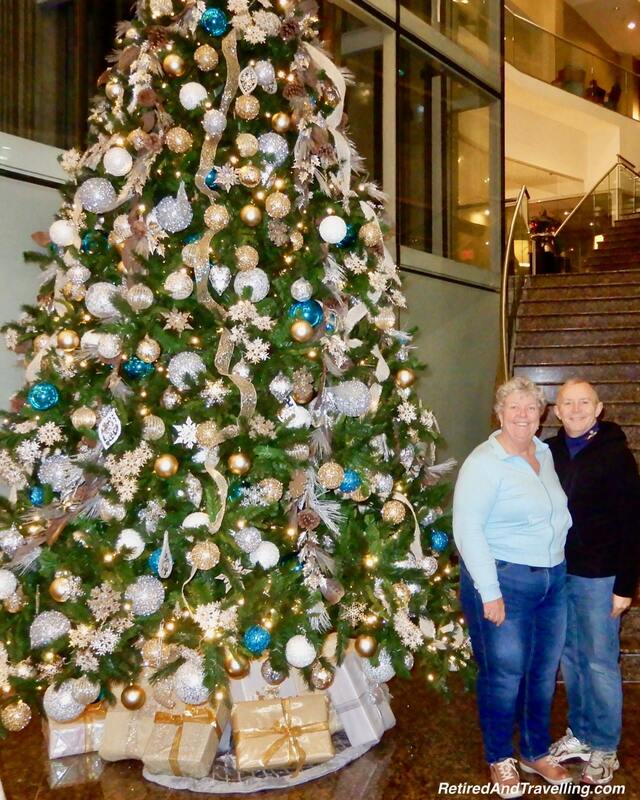 And from this great base we found Christmas holiday spirit in Vancouver. We spent time just walking around Vancouver. We saw Christmas trees all dressed in a variety of colours. And of course, we had to pose for our holiday portrait. 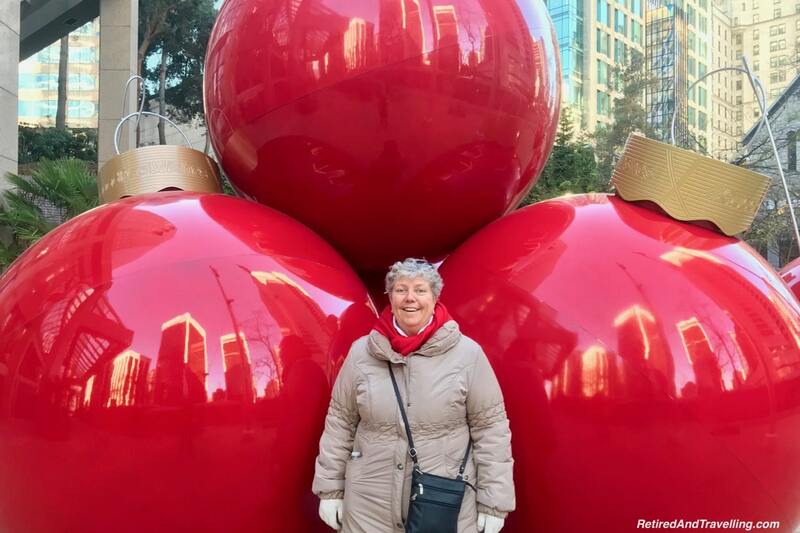 When we visited NYC for the holiday season, we loved the giant Christmas lights and ornaments we found. So when we found a giant set of Christmas balls, I needed to pose yet again. We wandered in and out of buildings looking at the holiday decorations. Holiday carols played in the air. We even got offered hot chocolate and gingerbread men. 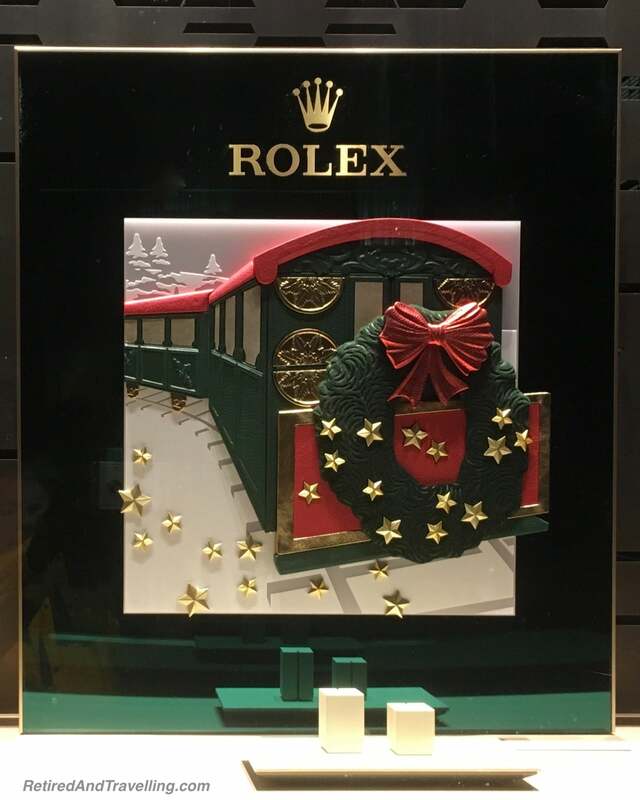 The store windows showed holiday colours. Although we did not find the massive holiday windows we have seen in other cities for Christmas. 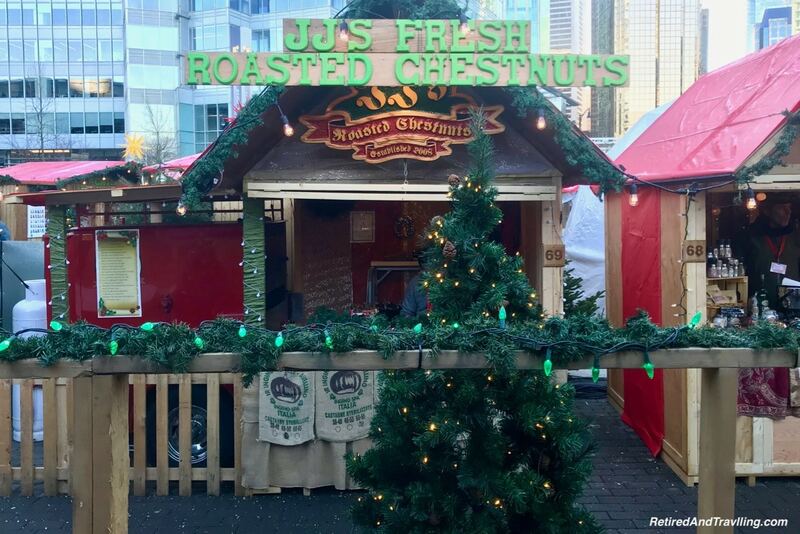 As we walked around the city, we found Christmas holiday spirit in Vancouver. 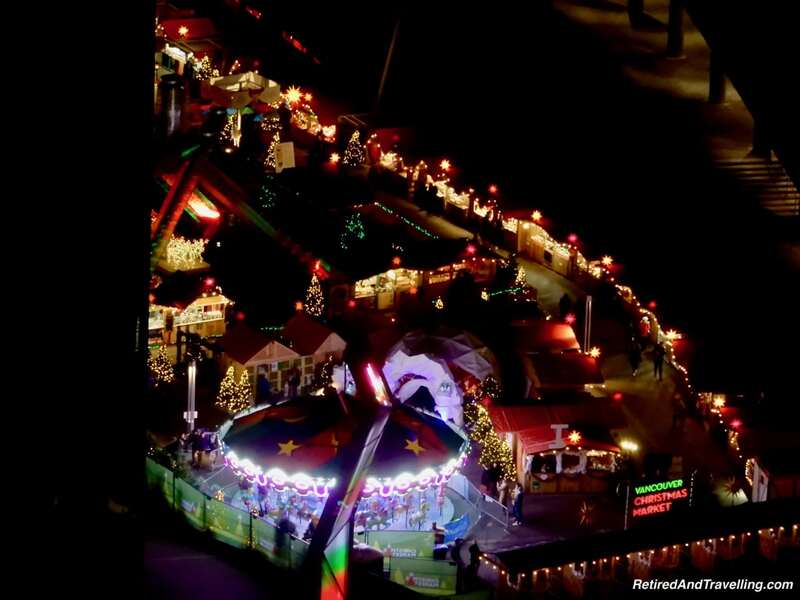 Right below our window at the Vancouver Marriott Pinnacle we saw the Vancouver Christmas Market. When it lit up at night, we knew this would definitely be one of our visits on this trip. Our first visit was in the middle of the day. We strolled around and looked at the large number of booths set up with unique holiday gifts. Some were uniquely Canadian. But many of the shops were German products. There was a large selection of food and drink options. We were tempted by many things. David had to be pried away from the chocolate shop. We finally settled on a steaming bread bowl of goulash to warm us up. We wandered around and stopped at the picture points. 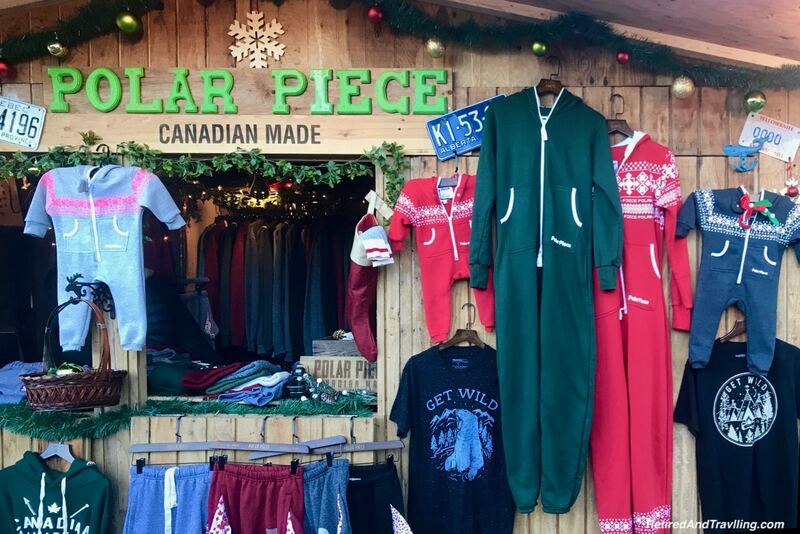 We found Christmas holiday spirit in Vancouver at the Christmas Market. If the market was a big draw during the day, it sparkled with magic at night. 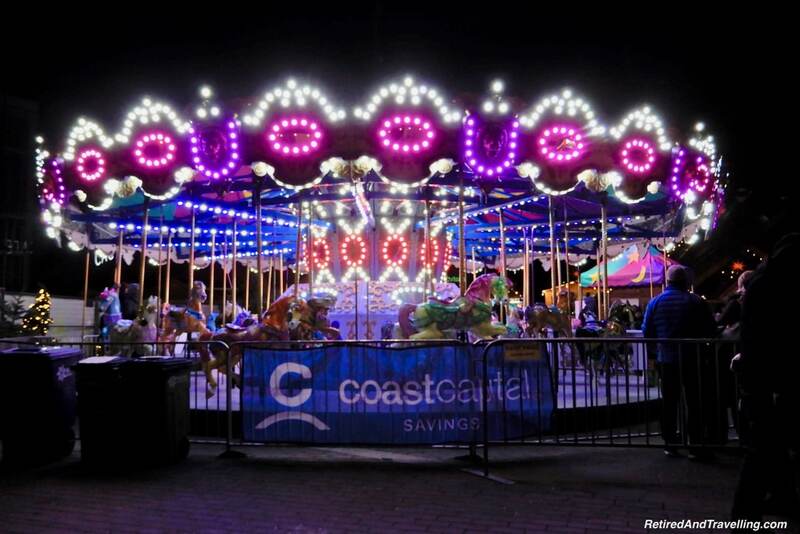 The carousel flashed with neon. 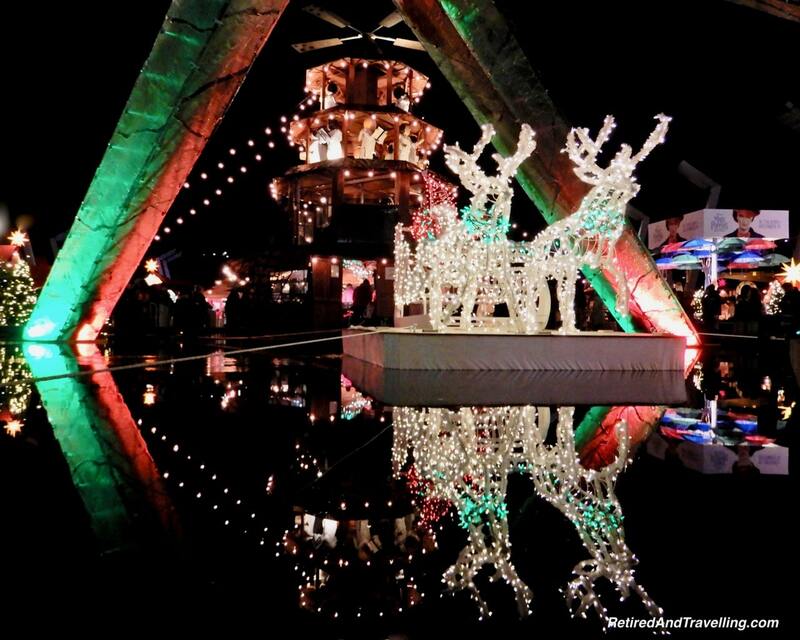 Santa’s sleigh sparkled in the middle of the freezing fountain. The windmill in the centre was all lit up. The arch to Lovers Lane sparkled and drew people into the mistletoe. We found Christmas holiday spirit in Vancouver when we went back to the Christmas Market at night. 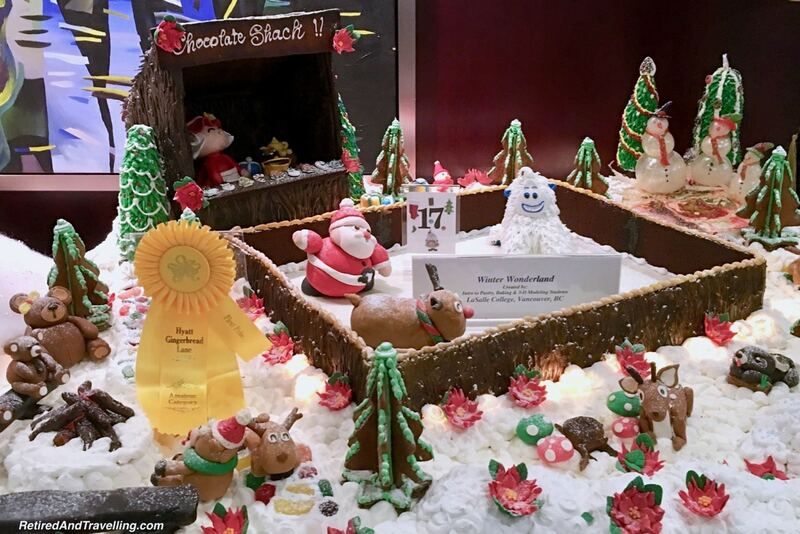 One of the things on the list of things to do in Vancouver was to check out the gingerbread house contest at the Hyatt Regency Vancouver. There were a large number of categories that groups entered in. And winners in each category. People made a donation to the Make A Wish Foundation to vote. Voting had finished when we arrived. So we got to see which selections were winners. 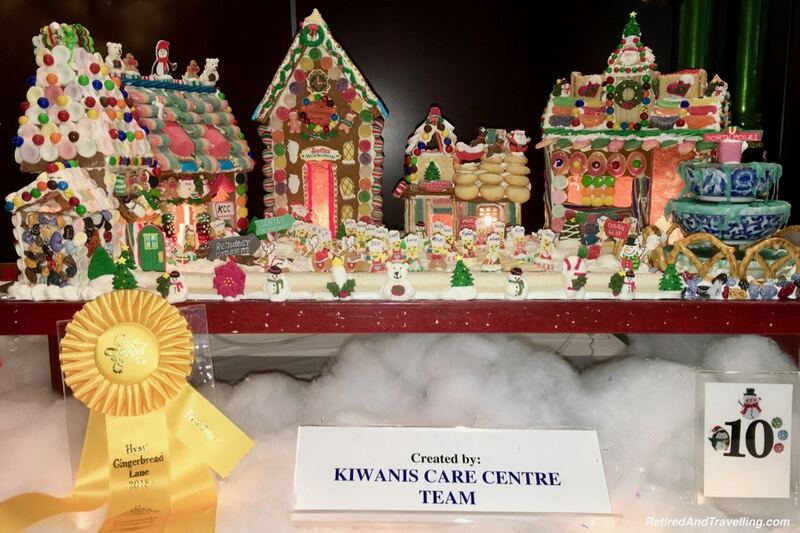 It was a great massive display of gingerbread art! It was amazing to see the different design concepts used for the gingerbread art. 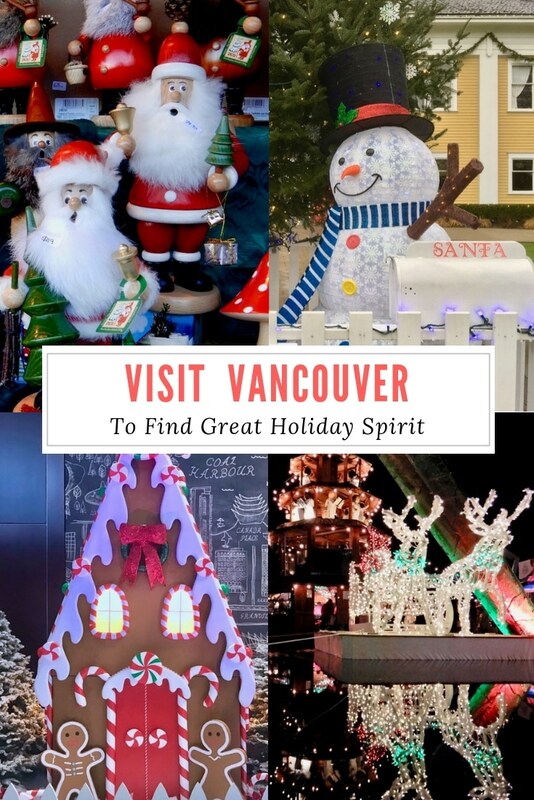 We definitely found Christmas holiday spirit in Vancouver as we walked along the displays. If you have grown young adult children living away from home, you know that feeding them when you visit is one of our main jobs! We enjoyed many great meals in Vancouver with our children. 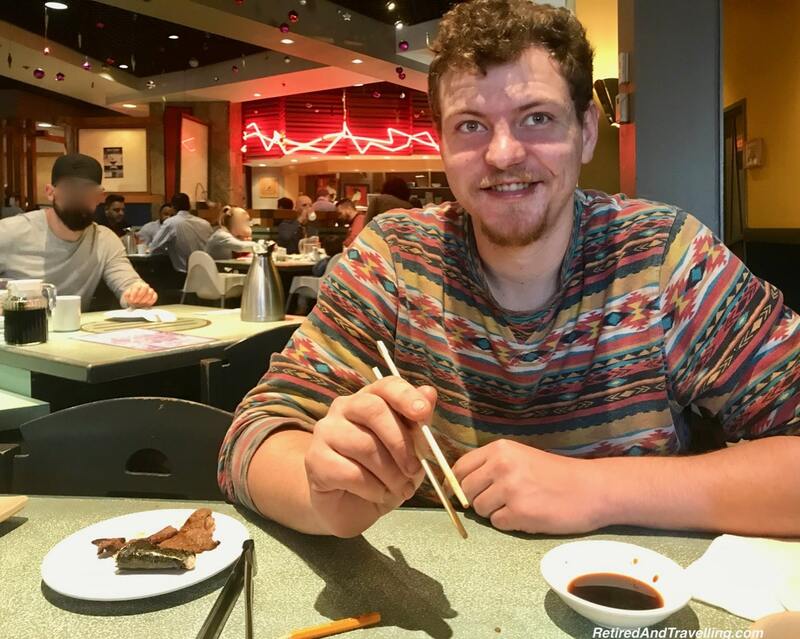 Our son Nick was excited when we took him to a Japanese Korean BBQ. He was impressed that our 8 week trip to Asia had expanded our food horizons enough to let us try a less traditional lunch. 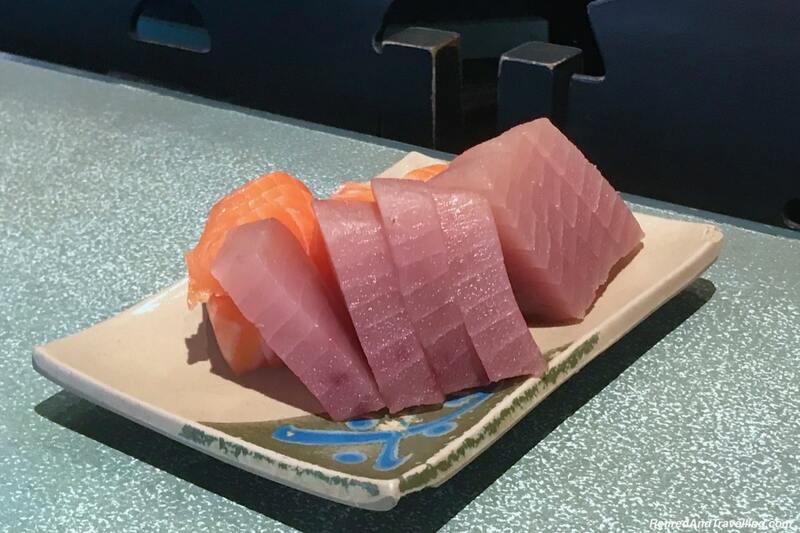 Little did he know that we really just wanted the fresh Vancouver seafood sashimi! 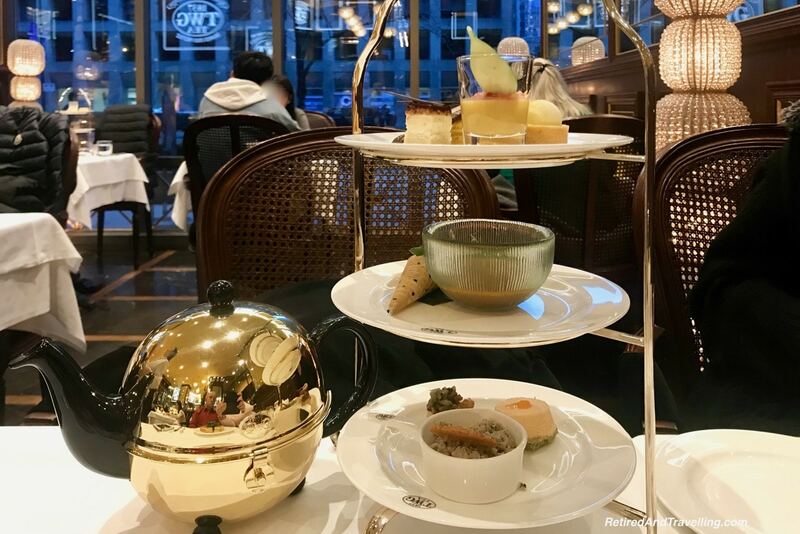 We loved to pamper ourselves with Afternoon Tea when we travel. 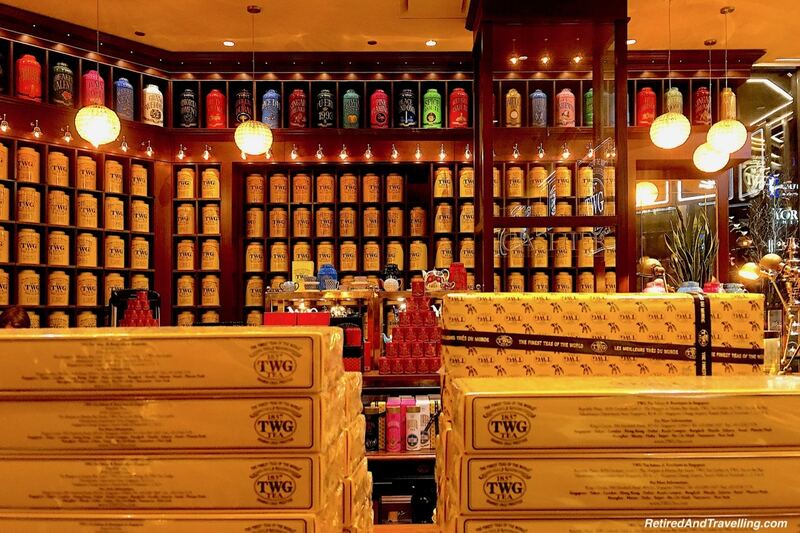 Our hotel concierge Verinda recommended that we try TWG Tea. 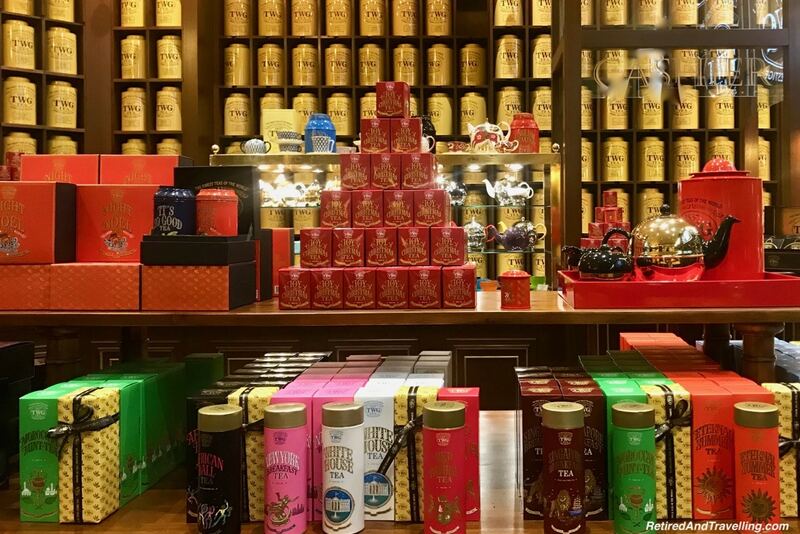 It is a small boutique shop that specialized in providing hundreds of tea choices. 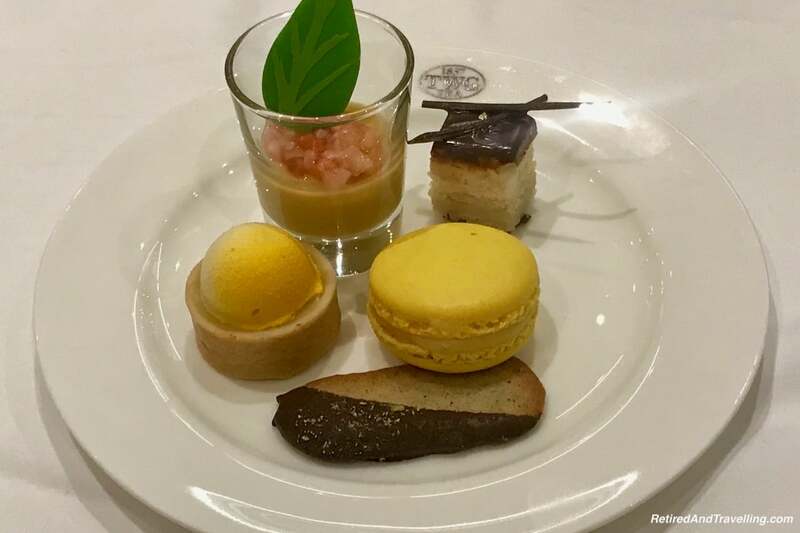 Our daughter Erika enjoyed a more traditional Afternoon Tea service. 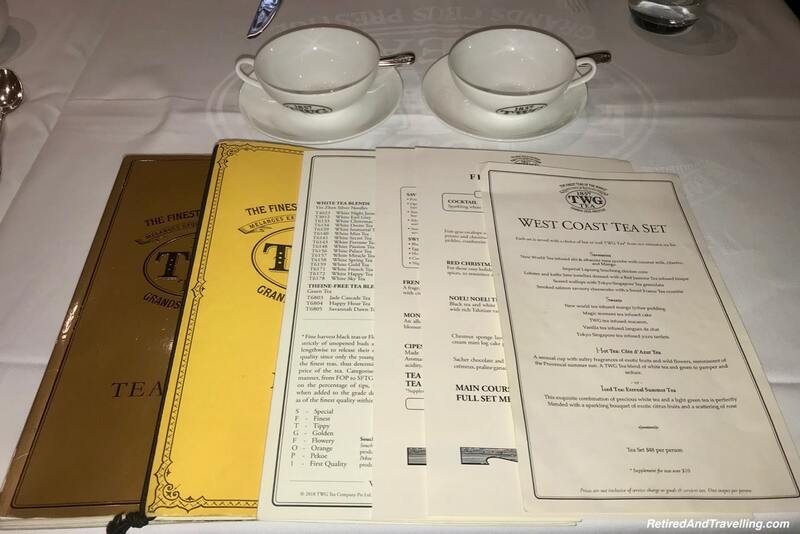 David and I opted to browse through the vast selection of teas. Of course, David picked a chocolate tea to go with his tea sandwich. 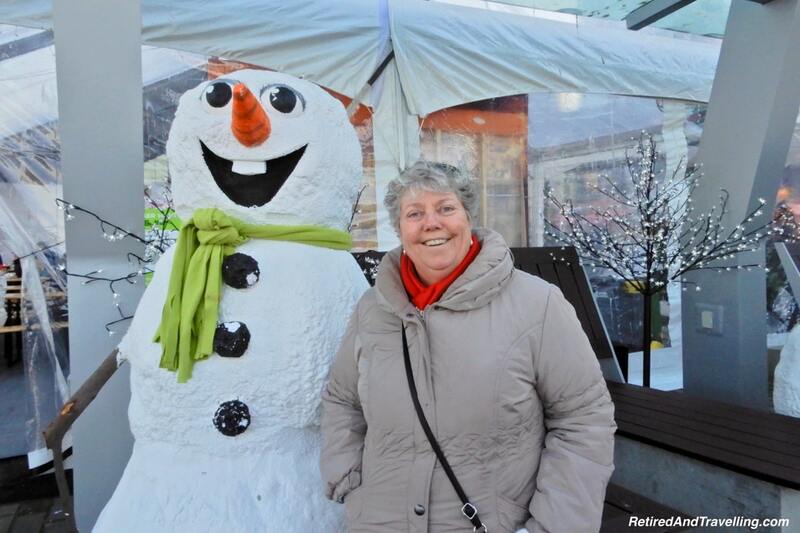 Spending time with our children, we found Christmas holiday spirit in Vancouver. We spent all of one fall in Vancouver. 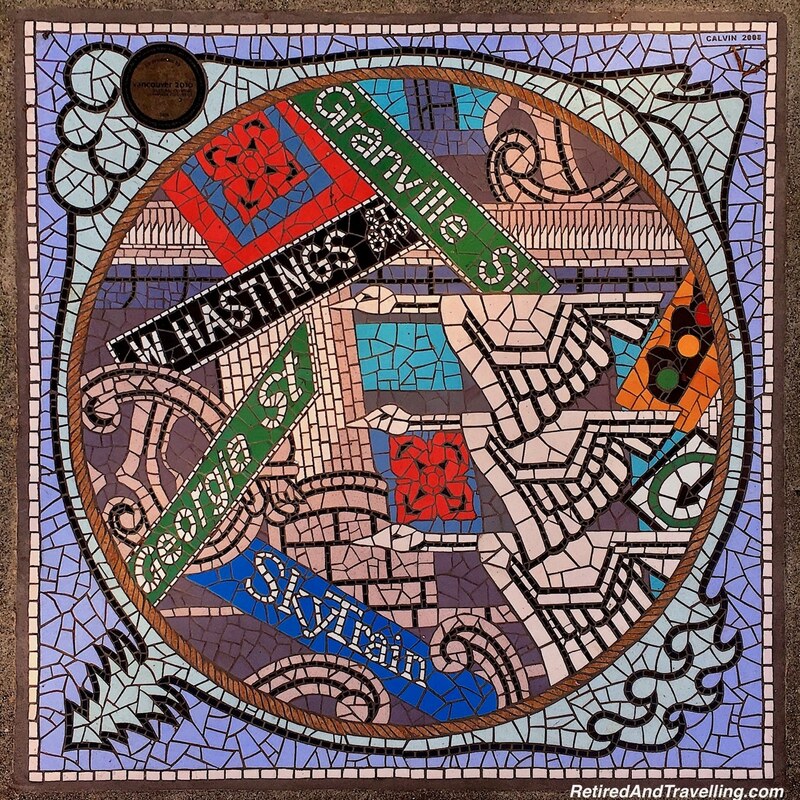 On that stay, we often headed out for day trip. 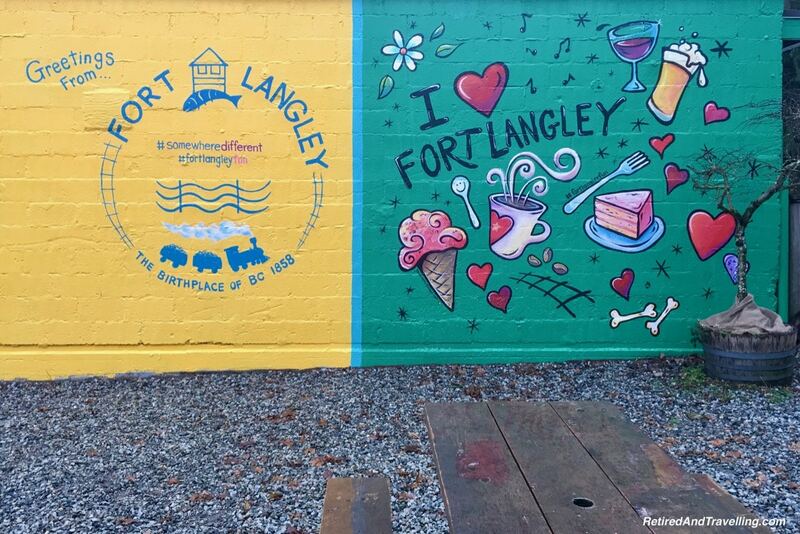 One of our favourite drives was out to the Fort Langley area in the Fraser Valley. 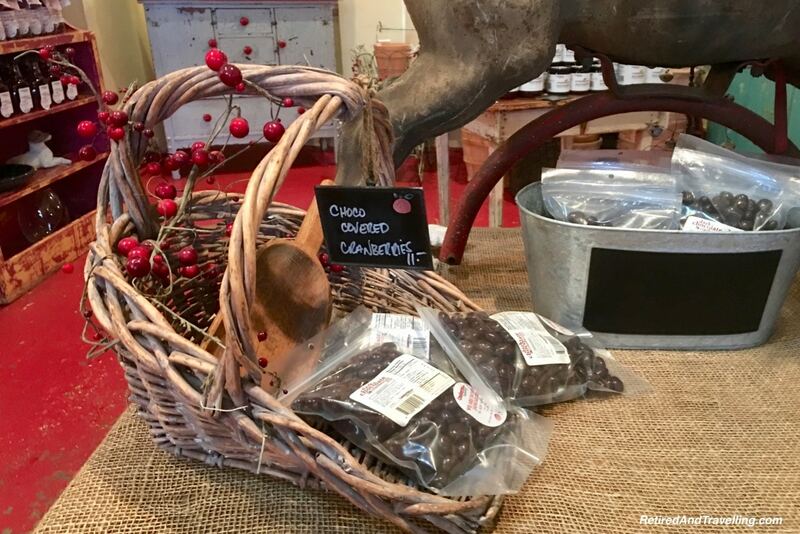 Of course, the fact that we found the absolute best chocolate covered cranberries was one reason. We also found one of my favourite rosé wines. 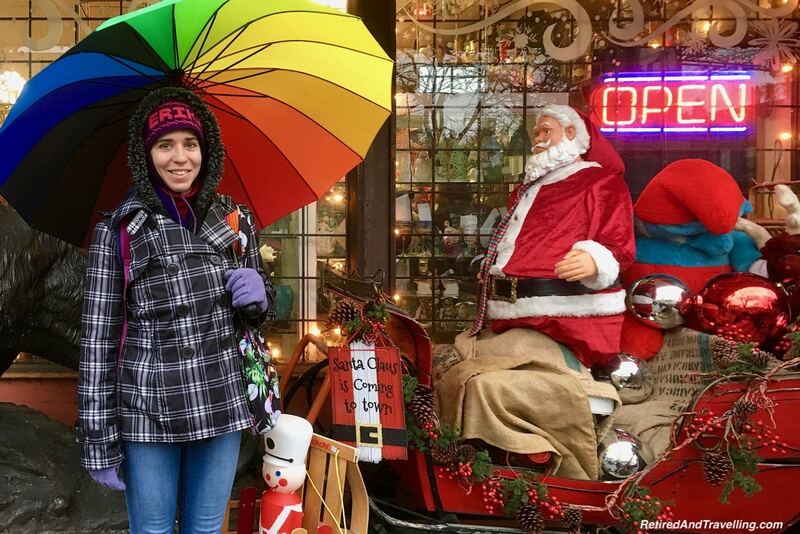 So on a rainy Sunday, David and Erika went on a shopping run to Fort Langley. 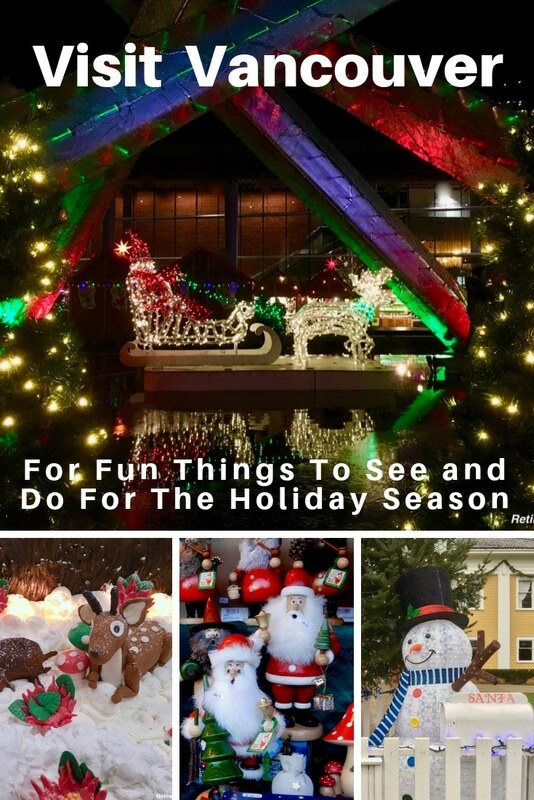 But they also found that Fort Langley was all decorated for the holiday season too! They spent some time walking around the small town. 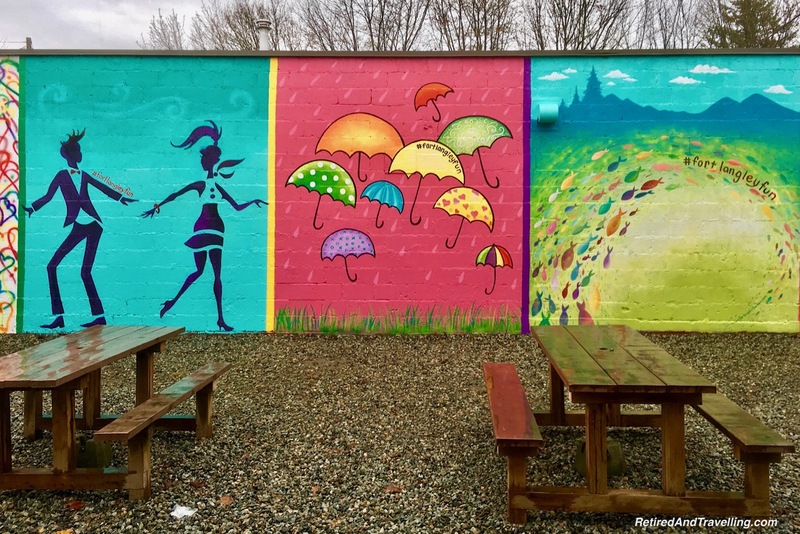 While holiday decorations were everywhere, they also found a great selection of colourful street art. A stroll through the Langley Centennial Museum showed them some interesting local art. 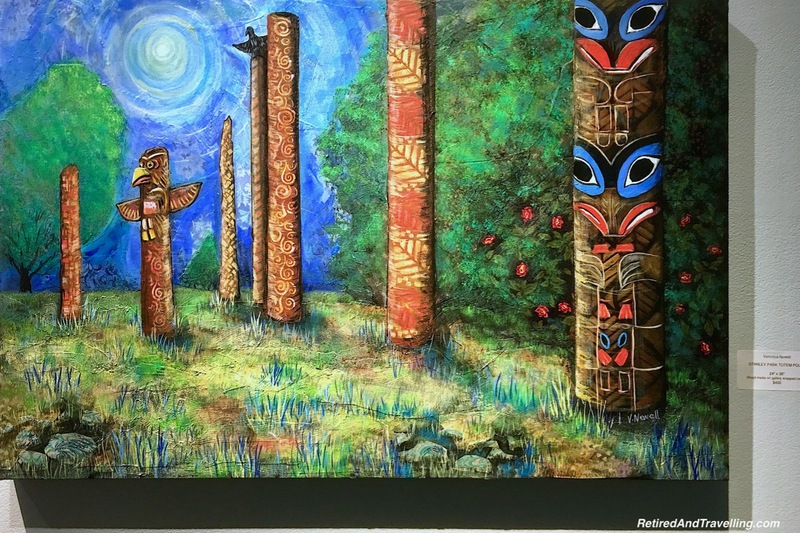 The picture of the totem poles in Stanley Park reminded us of previous visits to Vancouver. 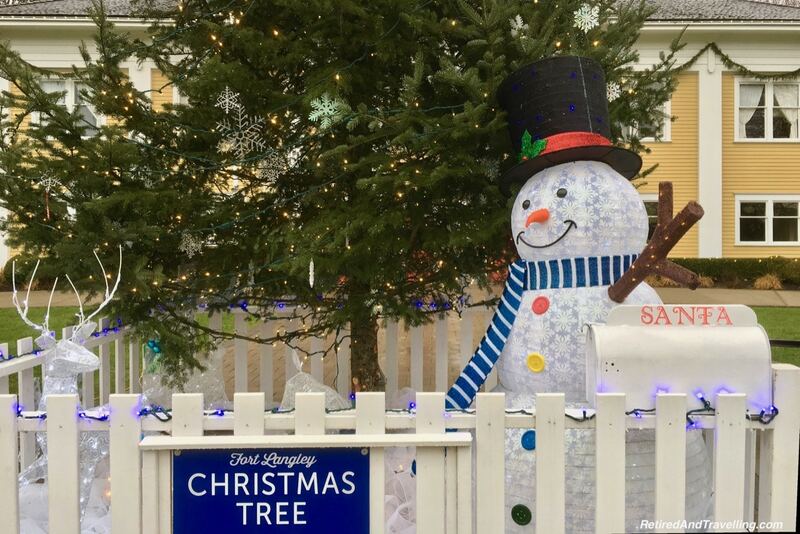 A day trip to Fort Langley ensured that we found Christmas holiday spirit in Vancouver. And provided some colour on a rainy day! 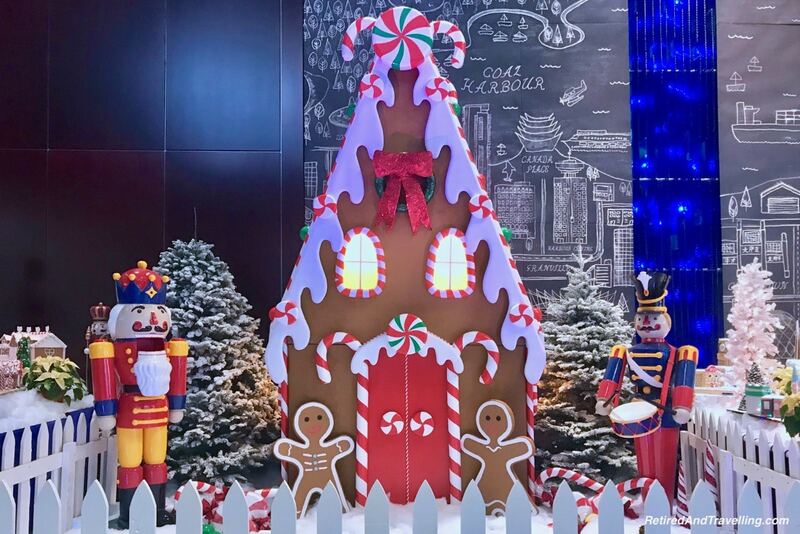 Our great concierge Verinda at the Vancouver Marriott Pinnacle provided us with a long list of things to do in Vancouver for the holiday season. Since we were there to visit family, we had to pick and choose only a few things to do. But there was a little of something for everyone. The great light show at the Capilano Suspension Bridge was tempting. Our daughter planned to do the Christmas train in Stanley Park with a date. And we passed the Karaoke Christmas bus but did not really get tempted by that. 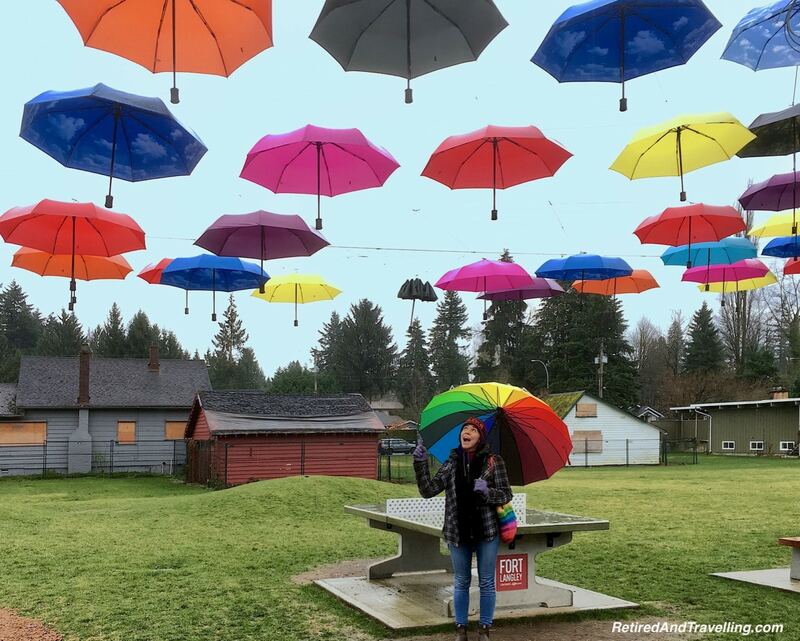 One night we planned to see the Christmas lights at VanDusen Gardens, but the weather ruined that plan. We really wished we had seen Scuba Claus at the Vancouver Aquarium. But we were very glad we found Christmas holiday spirit in Vancouver. Everywhere we walked in Vancouver we saw the city dressed for the season. 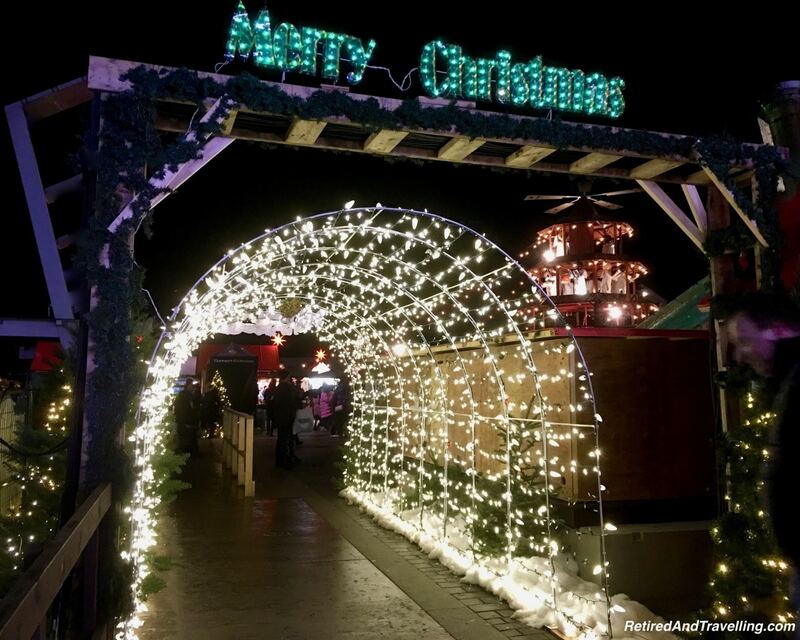 The Christmas Market delighted us during the day and again at night. 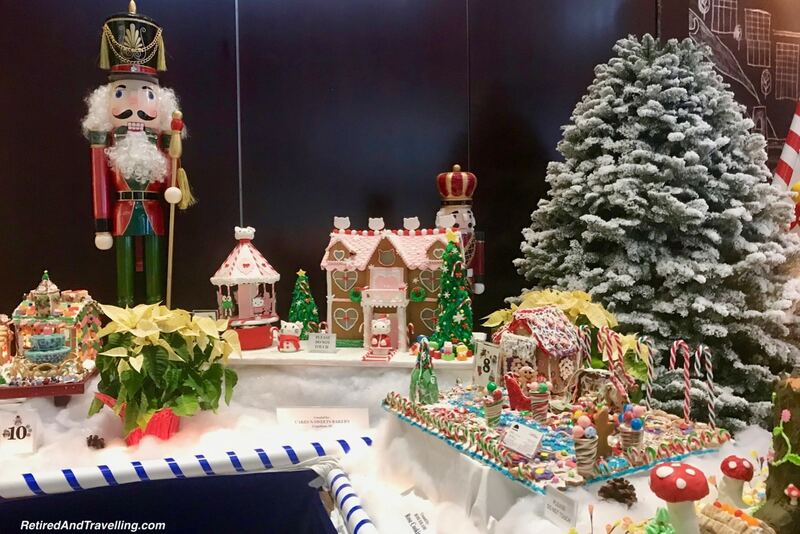 The vast display of gingerbread houses at the Hyatt Regency Vancouver was a sweet holiday treat. We enjoyed time with the family before we headed back home to Toronto to pack for our next adventure in Cuba. 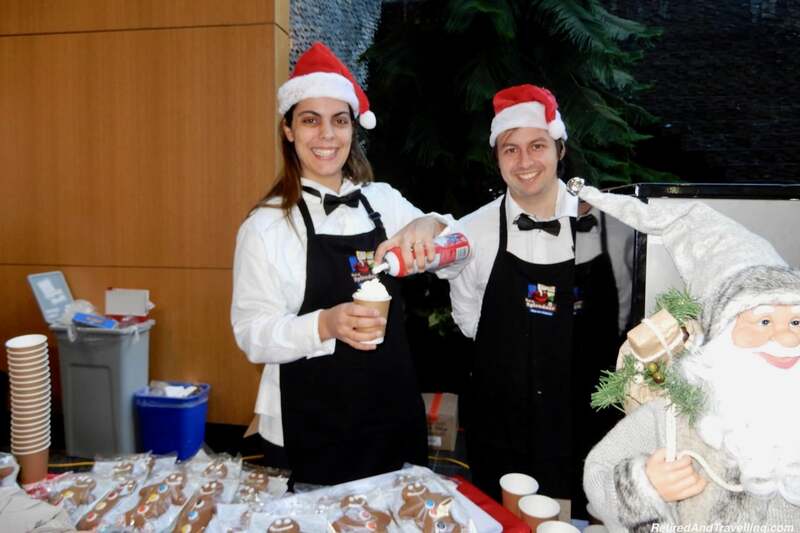 Have you found Christmas holiday spirit in Vancouver? 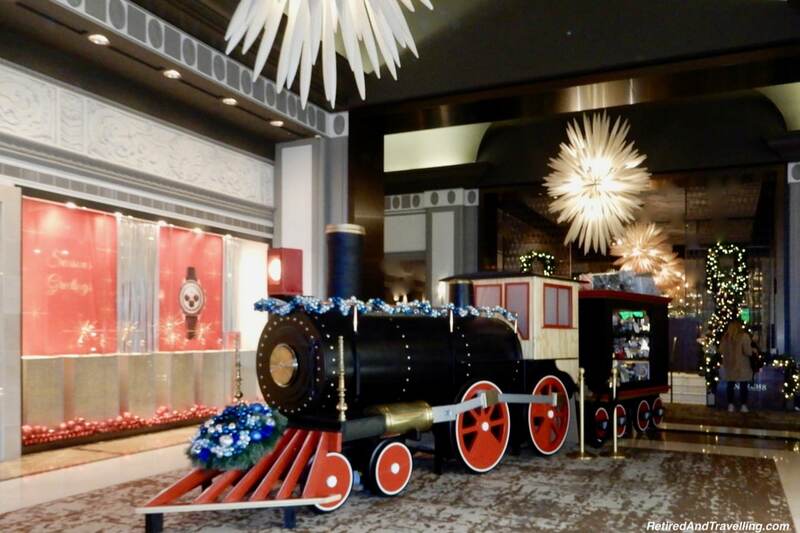 Or is there another spot that gets you ready for the holidays? 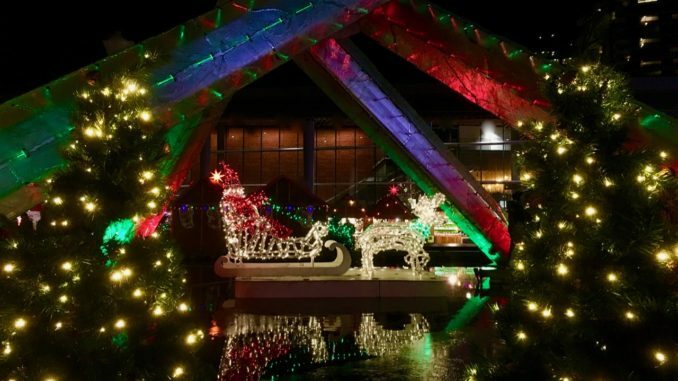 Looks like Christmas in Vancouver is fantastic. We will be there July next year though. You learn something every day! 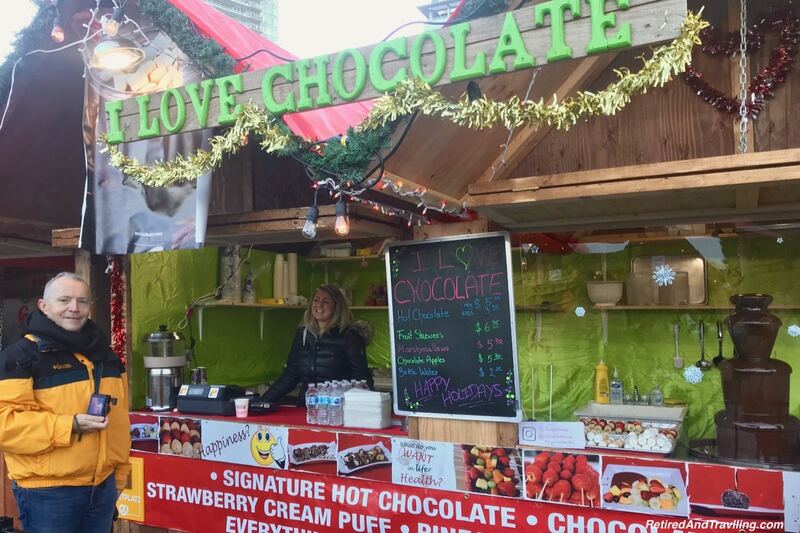 I did not know that Vancouver had Christmas Markets. What a fun trip you had. 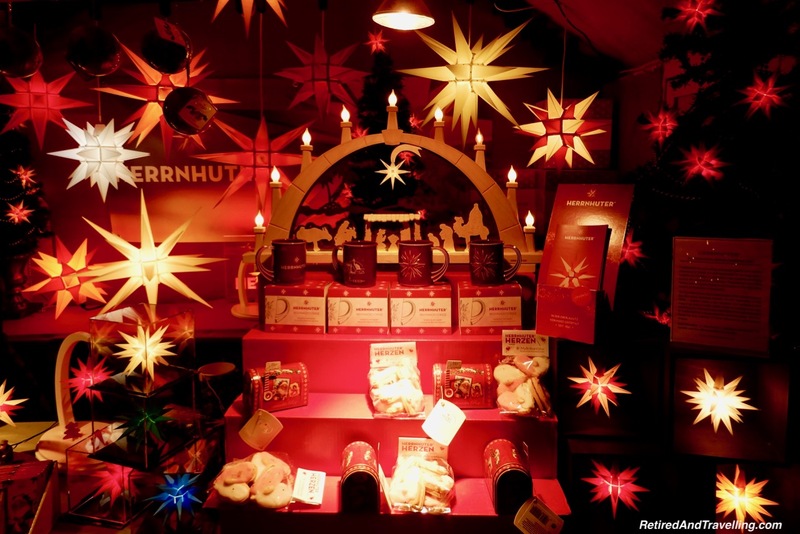 I love all of the holiday shots, especially the gingerbread and the huge red Christmas ornaments. Nice! Did you have some roasted chestnuts? Yum! 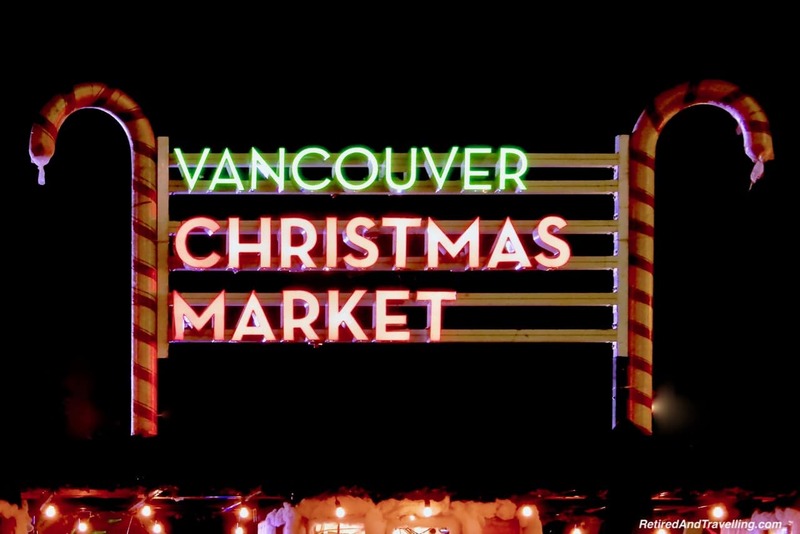 The food, Gingerbread houses and that Christmas market really makes Vancouver a must visit! I agree, holiday season is best spent when you travel with your loved ones. Lucky you! Aww, I love this article! 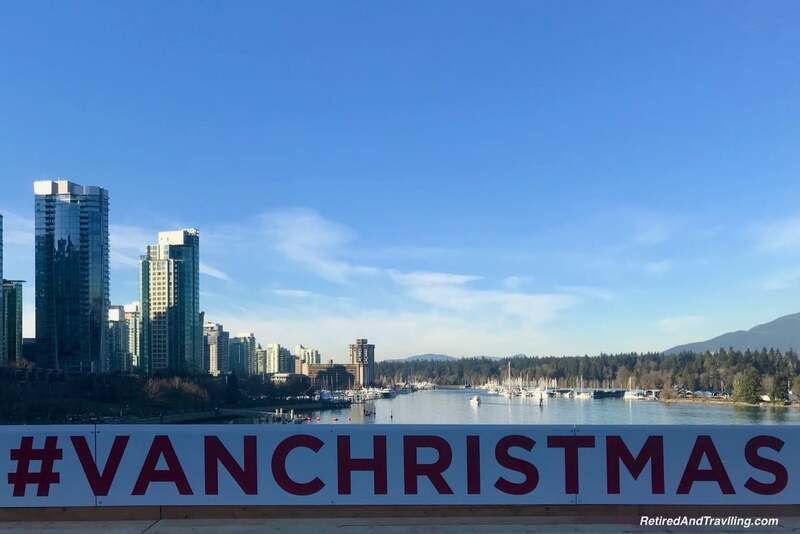 Having only been to Vancouver in the summer, it’s nice to see how it is dressed for Christmas! 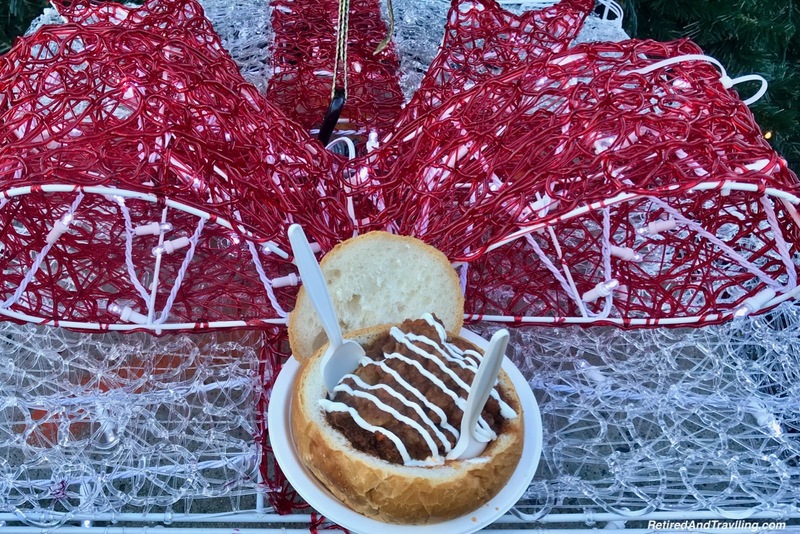 That bowl of goulash looks delicious – anything served ina bread bowl wins my vote! 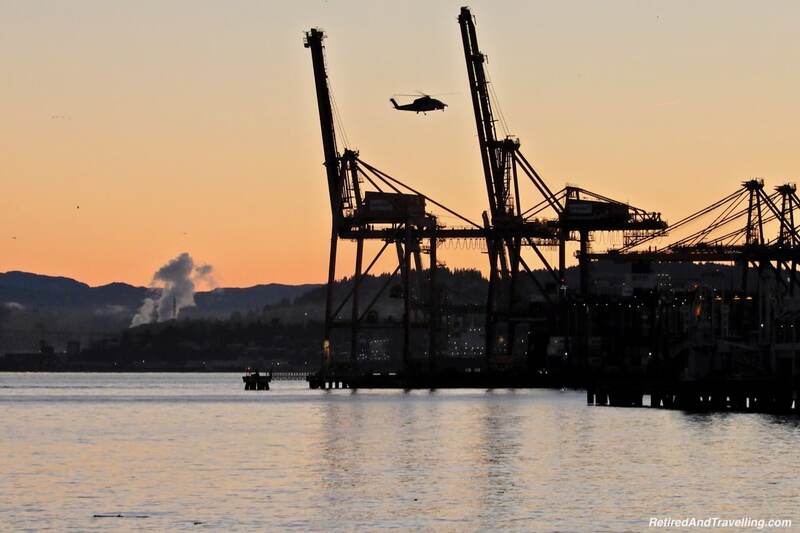 Love David’s pic of the sunrise with the helicopter in it – well done! Happy holidays to you both. The view from hotel room is to die for! I love when I get a window with such views. The gingerbread variety is quite impressive. Spending time with your children is very important and if it happens with a holiday, there’s nothing like it. 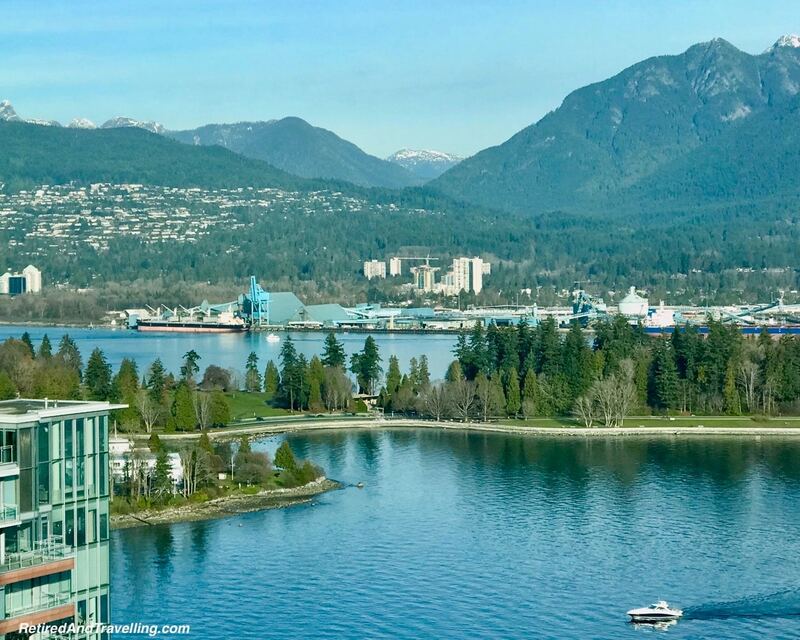 Vancouver really does look like a wonderful place to get into the Holiday mindset and feel the magic in this special time of year. I’d never once considered headed all the way out that direction for the holidays, but I’m kind of jealous tbh. I’ve had 3 years in the hot weather for Christmas and it’s just not the same! We visited Vancouver after Christmas one year, and it was still pretty festive there. I think it would have been fun to visit the Christmas Market. But we did get to try some roasted chestnuts. 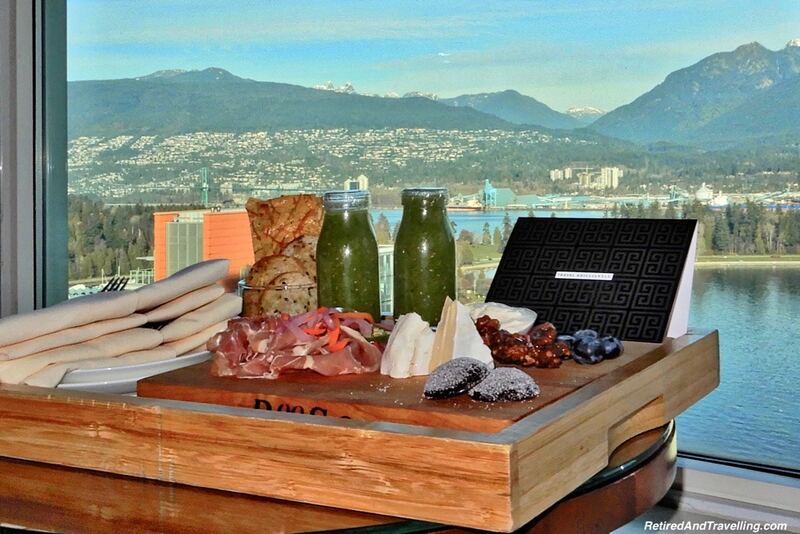 That looks like a great way to experience Vancouver. 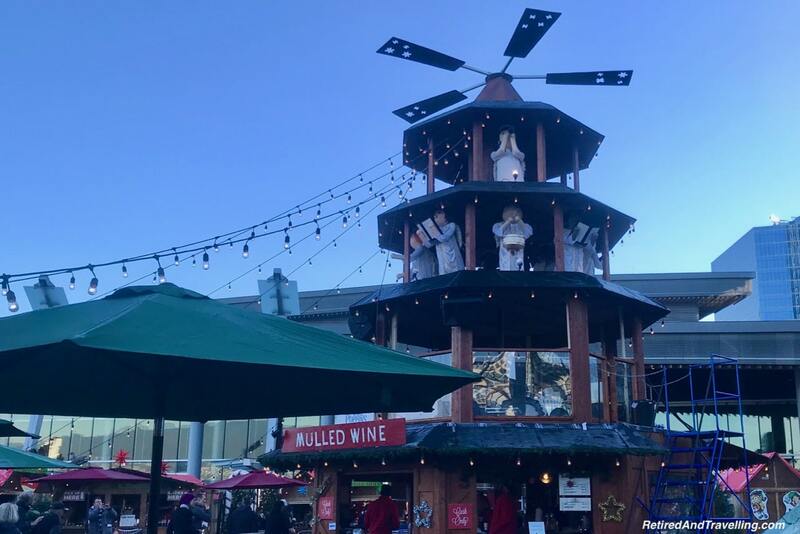 The market certainly looks like it’s serious about celebrating the season and there’s so much good food in the city too. Feels European without the jet lag! There is definitely a good Christmas vibe in Vancouver. Those giant red lights are amazing. I love the colours Christmas spreads everywhere and the room from your window is my favorite for sure. Great pictures and you seem to had a great time there.